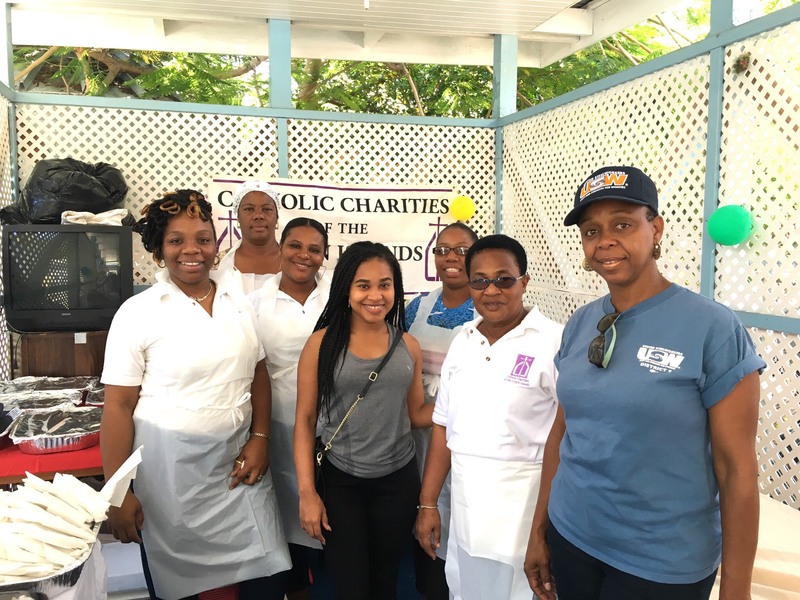 On November 26, 2016 the IT team at International Capital & Management Company (ICMC) sponsored Thanksgiving lunch for the Bethlehem House—a homeless shelter operated by the Catholic Charities of the Virgin Islands located in Hospital Ground. The sponsorship came about when IT Director of Infrastructure, Kim Hayes, recognized an opportunity to give back to the shelter’s residents. Once the team heard of Kim’s idea to provide a Thanksgiving meal to the shelter, her “brain child” blossomed into a team initiative that successfully organized and funded the luncheon. Through thoughtful planning, the lunch took place on the Saturday after Thanksgiving at Bethlehem’s gazebo—a Thanksgiving tradition that the IT team honored. The gazebo was beautifully decorated and laden with a variety of Thanksgiving staples, including two roasted turkeys and multiple sweet and savory pies. The tables of food, catered by the Sugarcane Grille, were indeed a sight to see. Indeed, Thanksgiving is one of the most revered American traditions in the U.S., and in the Virgin Islands. This holiday is able to bring together loved ones—and those who tag along with them—for a day of fun and festivities. We open our homes to enjoy the company of loved ones—our work spaces to enjoy the company of co-workers—and our hearts to give to those who are not able to enjoy a hearty meal. The latter, some may argue, is the most genuine definition of all. The IT team was not only able to serve all of the shelter’s residents that day, but the many others who came to the luncheon for a helping hand. The Bethlehem House is the only homeless shelter on St.Thomas and serves approximately 40 people in need annually by providing shelter, food and “compassion”. Please note that the shelter can always use items such as furniture, clothing, personal hygiene products, books and donations are tax deductible. For more information on the Bethlehem House, please contact Director Andrea Shillingford at 340-777-8518 or Shelter Manager Richard Gomez at 340-777-5001.